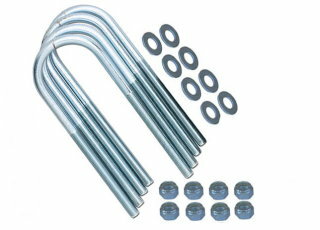 Rubicon Express U-Bolt Kit 2.75" x 9"
Set of four u-bolts and nuts for Cherokee. 1/2" diameter rod x 2.75" I.D x 9.0" length. Fits most Cherokees with Dana 44 and Model 35 rear diffs.